Within the Discursive Picnic all participants are simultaneously guest and host. 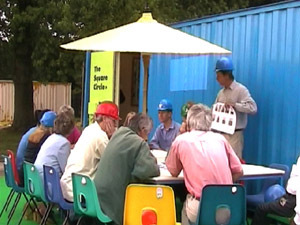 Its potluck format encourages all attendees to bring along various contributions and to combine them with the materials unpacked from the UNWETTER thermos-box. 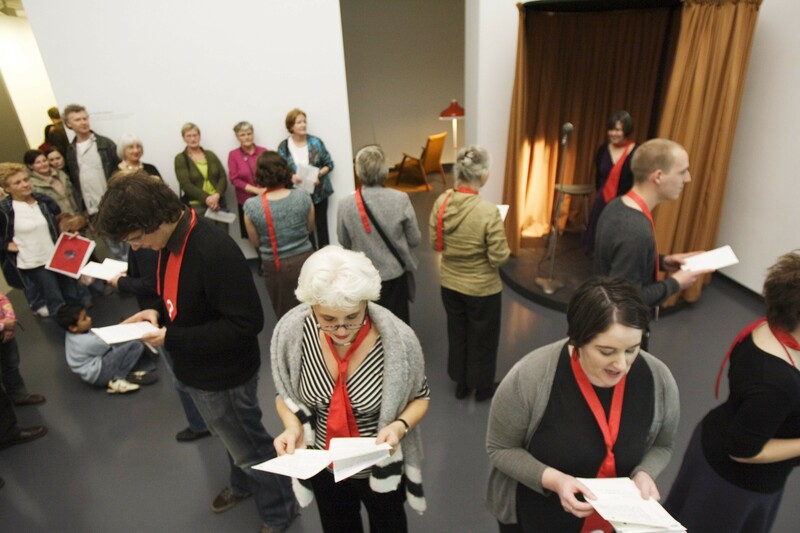 The Discursive Picnic creates a common operational space and provides an informal structure for temporary organization, nomadic performances, and networks of discursive and dialogical relationships among participants. We sit down, set-up flexible elements – blankets, picnic furniture, tents etc. – share food, exchange thoughts, and eventually move on, departing in new directions through walks, associations, diversions, and exploring other spaces. 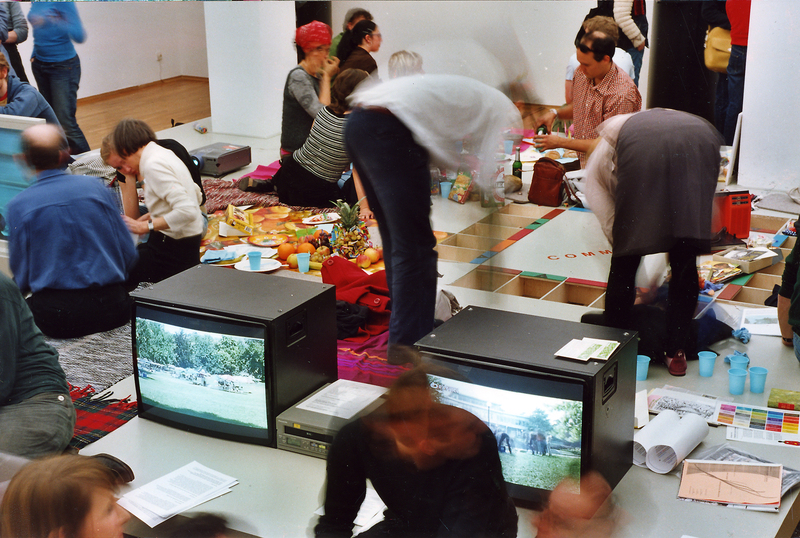 UNWETTER, a Berlin based group of international artists, curators, critics and activists, has developed collaborative, experimental and participatory practices in a wide-ranging series of events and situations since 2002. Within changeable and open formats UNWETTER connects different contexts in an ongoing process of reciprocal exchange. Informal learning is knowledge, which has not been captured and exists only inside someone’s head. To access that knowledge you have to find the person who can share it with you. Knowledge is worthless if you keep it to yourself. Working with the group Giant-Bi as a starting point, we will set off on a journey to find ‘informal learning’ taking place between individuals and groups in Bolzano. During this short period of investigation, we will devise the workshop together. Because the nature of informal learning is responsive, it is impossible to know the outcome in advance. It works through, and is driven by, conversation. It involves exploring and enlarging experience and it can take place anywhere. Today I am concerned with the ecology principal that everything is connected to everything else. I am based, precariously, in London and have travelled quite a bit initiating projects of many shapes and sizes that respond to situations and couldn’t exist without a wide spectrum of collaborators and lots of conversation. On missing, losing and getting rid of something? Did you ever lose something that you never found back? Or conversely, are you desperate to get rid of something? The committee for radical diplomacy will establish a transversal lost/found agency over three weeks in Bolzano, working with various games and methodologies that allow us to address what we miss, lost, found or want to get rid of – with the aim of doing something about these things. The lost / found agency will operate as an informal space, the organization of which will be up to us; how can we support, find and re-search our desires, hopes and ideas within collective processes? The Committee for Radical Diplomacy is a gaggle of chronic collaborators with a passion for the protocols of formal diplomacy (cocktail parties, gift-giving, careless whispers, gestures of hospitality) and the mechanics of constituent organizing. 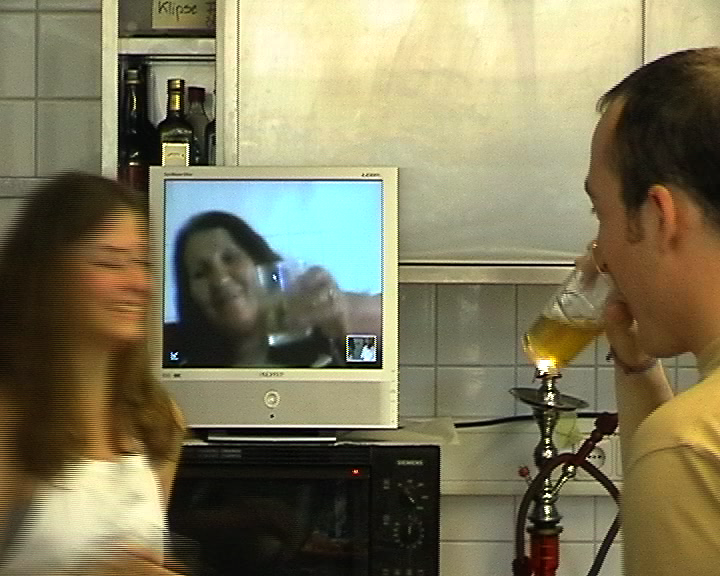 For the closing event of Summer Drafts, Hiwa K will prepare a Cooking with Mama, involving the public and the participants in the preparation and consumption of food, cooked simultaneously with the mother in Iraq: mother and son will be connected via skype. Usually is the mother who shows how to cook an Iraqi dish, but in this case the participants of Summer Drafts will think a dish to cook together with Hiwa’s mother and other people outside Bolzano. The dish will be an attempt to translate into food the experience of Summer Drafts, whose results will be therefore symbolically projected beyond the context of the Bolzano. Hiwa K is visual artist and musician, and his interests evolve around the figure of the artist as an amateur. He has been developing a series of projects exploring the paradoxes of cultural competency and the dissemination of knowledge. Hiwa will also take part to the opening of Manifesta 7 with the performance Moon Calendar.